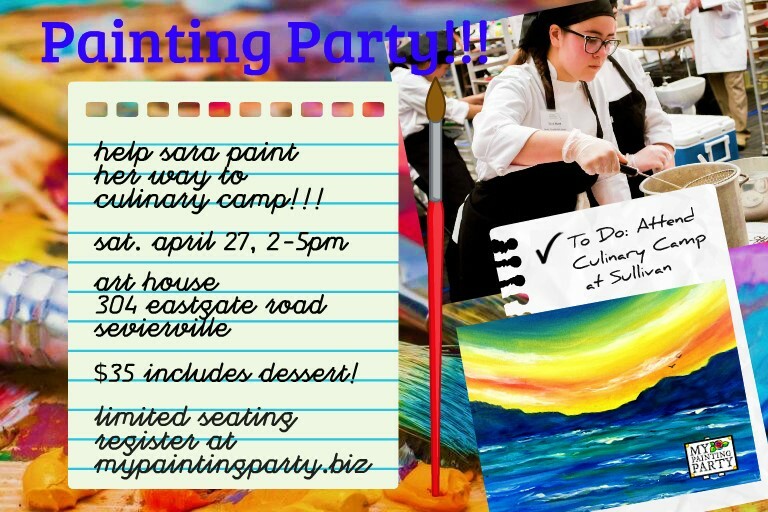 Help Sara Paint Her Way To Culinary Camp!!! Must Pre-Register. $35. All Supplies AND DESSERT Included! !